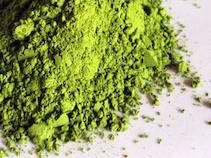 In keeping with Japanese tradition, Matcha is a green tea powder made from specially harvested leaves. 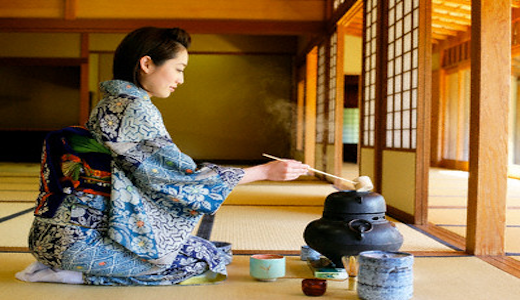 The Japanese tea ceremony (cha-no-yu, chado, or sado) is a traditional ritual influenced by Zen Buddhism in which powdered green tea, or matcha (抹茶), is ceremonially prepared by a skilled practitioner and served to a small group of guests in a tranquil setting. 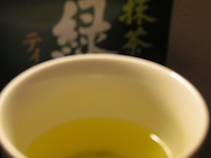 Place the green tea powder in a tea bowl. 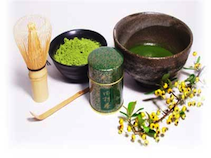 Pour ¼ cup hot water over matcha and whisk briskly with a bamboo tea whisk until a light foam has formed.